WINSTON WENYAN MA is a Managing Director of China Investment Corporation (CIC), the sovereign wealth fund of China, with a focus on long-term investments in large-scale concentrated positions. Since joining CIC in 2008, he has held leadership roles in major direct transactions involving natural resources, financial services and high-tech sectors. Prior to joining CIC, he served as the Deputy Head of Equity Capital Markets at Barclays Capital. Previously, he was a Vice President at J.P. Morgan investment banking, and a corporate lawyer at Davis Polk & Wardwell LLP and Freshfields. He is the author of the bestselling book Investing in China: New Opportunities in a Transforming Stock Market (Risk Books, 2006) and has been widely quoted in global financial media. 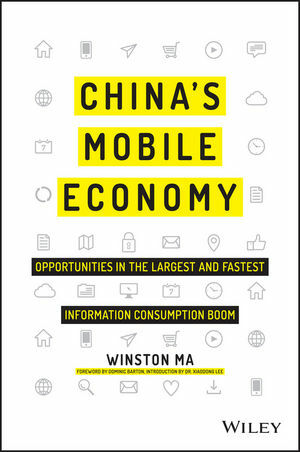 Winston was selected as a 2013 Young Global Leader at the World Economic Forum (WEF) and in 2014 he received the Distinguished Alumni Award from NYU.